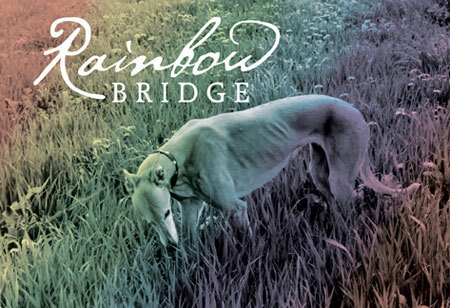 The Rainbow Bridge is a place of hope and reunion for pets and the people who love them. There, all pets who were ill and old are healthy. Those who were hurt or maimed are whole and strong again. They all run and play together, but the day comes when one suddenly runs from the group, legs carrying him faster and faster. You have been spotted. When you and your friend are reunited, you look into the trusting eyes of your pet, so long absent from your life but ever present in your heart.Then you cross the Rainbow Bridge â€” together again â€” this time forever. Middle Tennessee's hounds that have crossed the Rainbow Bridge.